When I started this kit in the summer of 2005, there was no evidence that Academy's long-announced M3 would appear in this modeler's lifetime. The superb resin kit from Armoured Brigade Models was long out of production and commanding high prices on the rare occasions it would appear on e-Bay. 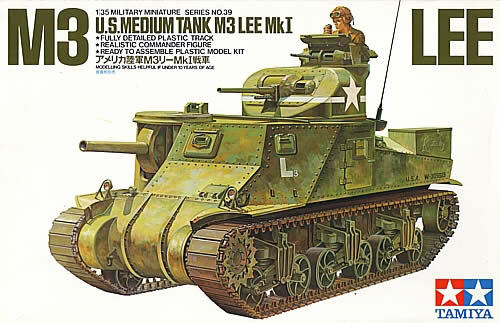 I had first built the M3 Lee with my young son, and as old Tamiya kits go, it's a simple and quick project for that purpose: inexpensive, a modest number of parts, and it comes together fairly well. While the kit has a host of problems that a youngster might overlook, it's vexing for the more exacting modeler. 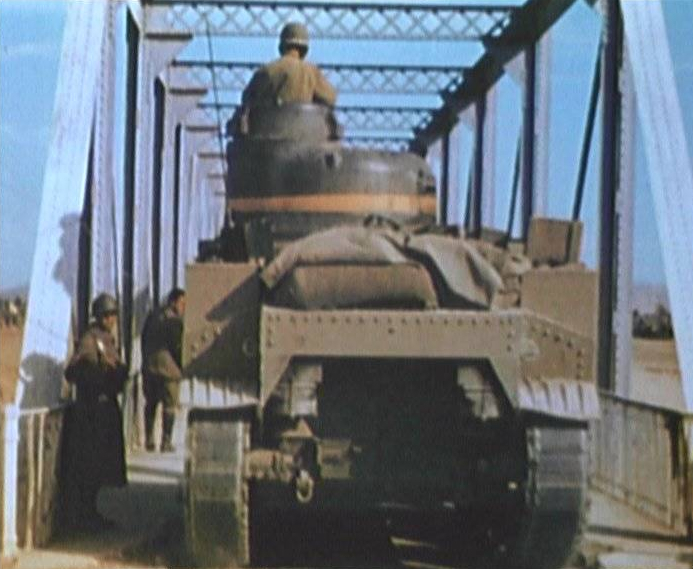 First and foremost, the rubber band tracks suffer the same problem as Tamiya's old M5 Stuart series: the end connectors do not extend from one track tread to another, so in reality you would just have a long pile of disconnected links. The turret for the 37mm gun is too rounded as the wall meets the roof; the angle should be tighter. The rear represents a mishmash of M3 and M3A5 features. There are other problems related to the M3 suspension, end drive covers, placement of rivets, accuracy of some pieces, etc. Some people on the Internet claim that the tank has been compromised by a legacy as an earlier motorized version, which enlarged the lower hull slightly (by as little as .100") threw off the complex angles of the upper hull. No one can come up with a product number of that alleged motorized kit, so that origin might be more of an urban legend. Actually, the lower hull compares well with the dimensions of Italeri's M4A1 tub. The upper hull planes are more problematic, according to Roy Chow, who has actual plan drawings of the tank. Of course, as construction was nearly complete, Academy announced their Lee would be available early in 2006, and Sid Arnold at Armoured Brigade announced he was putting his kit back into production this year. It may be that the Academy and ABM kits finally relegate Tamiya's Lee to the dustbin of modeling history, and the saga that follows will have as much relevance as a write up about accurizing the old 1/32 Monogram jeep! Oh well. Every kit has its strengths and weaknessessome kits are much more imperfect than others. Personally, I have an affinity for these old dogs. I don't get too hung up on dimensional inaccuracies, something off a scale inch or two here or there. I just enjoy the challenge of fixing what I can. As Lennon and McCartney said, "Take a sad song and make it better." This project is a real brain twister of a build, working with so many different accessories and at least three sets of instructions. Even if all progresses smoothly, you still have some strange encounters with things like partial sponsons on both the Tamiya and VP kits and trying to get them to match up with the engine wall (and you have to fill in the back third of the sponsons yourself). It's definitely one of the more challenging and rewarding builds I've done. It was helpful having the tank my son and I built on hand to refer to. You absolutely need to think through not just the step at hand, but the next five steps after thatwith all your various aftermarket bits and piecesbefore you even think of opening the glue. But that's what I love about projects like this. 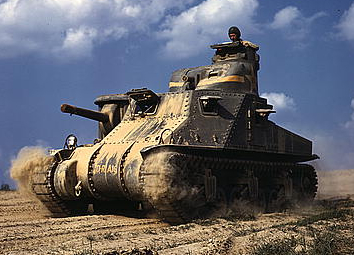 The M3 Lee, and its British cousin the Grant, don't attract much attention from modelers. Perhaps because of its ungainly look, or because it was an early war tank not associated with the final assault on Fortress Europe. It was hobbled by a constricted main gun and an underarmed turret. Its high profile created more target area. 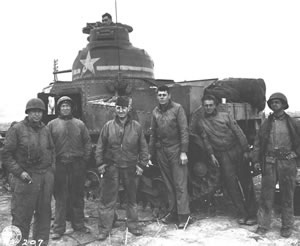 The Russians, which received more than 1,000 M3 Lees through the Lend-Lease program, called it "the Coffin for Seven Brothers." In the North African desert, it probably performed as best as its inexperienced crews could manage until larger quantities of the early M4A1 Sherman were supplied. Nearly all my research was conducted on the Internet, with some study of my Sherman and Stuart books for crossover details. Be careful on the web because photos are not always properly identified (Lee vs. Grant); even the U.S. Army's official "green book" pictorial on The Mediterranean Theater misidentifies a Lee as a Grant. And you can't always be sure which of the half-dozen variants that particular interior photo belongs to. If you use Google, search for both Lee and Grant images and information. For photos of some preserved tanks, check out the M3 Lee in the Jacques Littlefield collection by Vladimar Yakubov, and Chris "toadman" Hughes' site for pictures of both a Lee and Grant. I won't be surprised if Chris comes out with one of his great CD-ROM photos guides now that the Academy Lee is actually on the horizon. 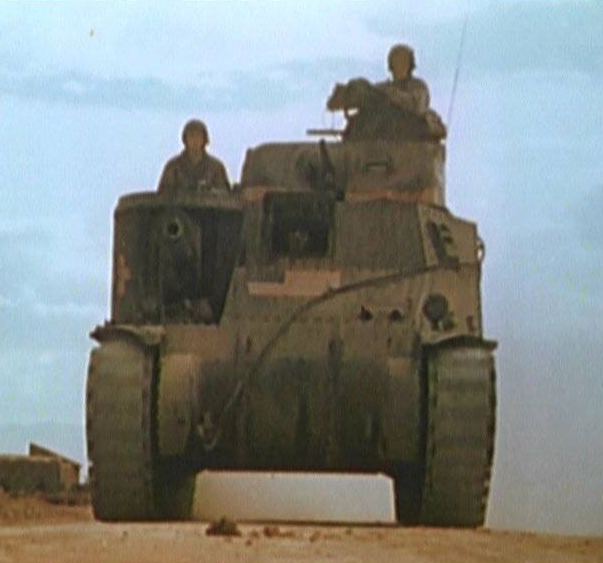 For some marvelous color period photos, Daniel Cesar has a series of images captured from a WWII U.S. Signal Corps film shot in North Africa titled At the Front in North Africa With the U.S. Army, from the World at War DVD collection from Editions Marshall Cavendish. The website WWII in Color offers dusty Lees in training from a collection of the Library of Congress, which also can be found at the U.S. National Archives website. 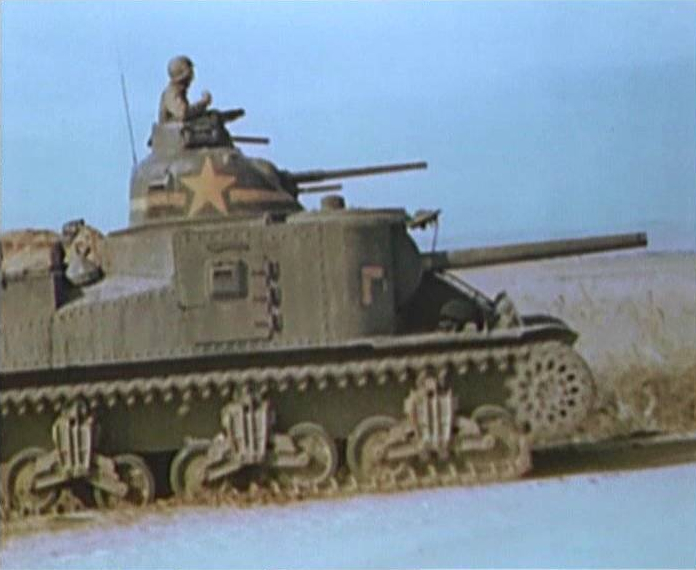 I did purchase Squadron Signal's M3 Lee/Grant in Action, which offers a basic grounding in the variants and some good photos. My understanding of the M3 suspension and was improved by Pete Harlem's The Modeler's Guide to the Sherman. Other good photos were found in Patton's Tank Drive, D-Day to Victory by Michael Green, and US Tank Battles in North Africa and Italy 1943-45 by Steven J. Zaloga.